Be the centre of attention during special occasions like engagements and weddings. This heavy necklace set comes in shades of brown to make you look resplendent. 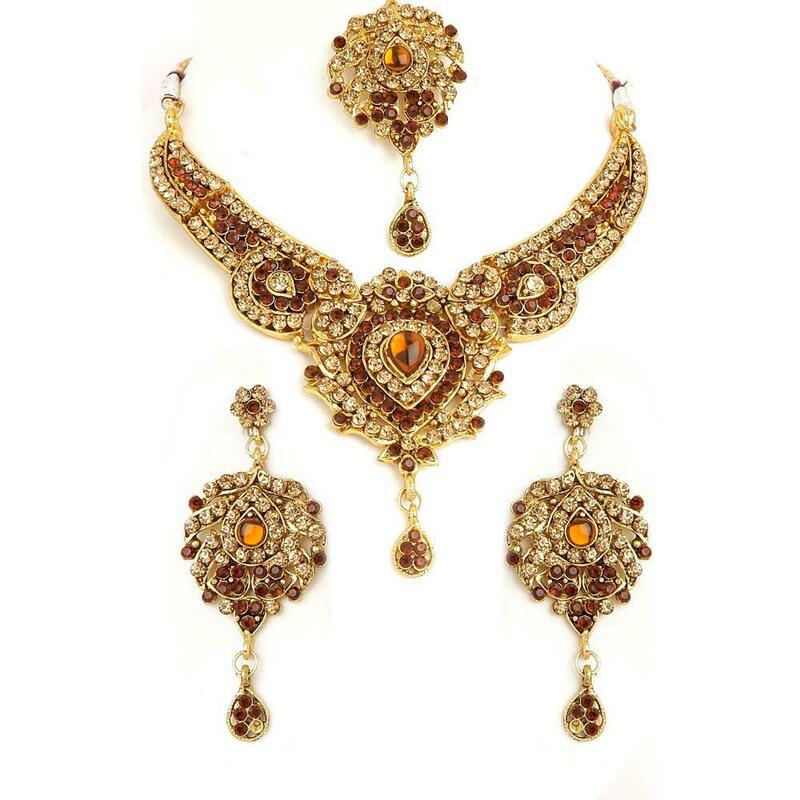 It will add a touch of glamour to your ethnic attire and make you feel beautiful. The coloured stones are cast perfectly and the metal is gold plated to give a perfect shine. The maang teeka completes the traditional look.